Below are some of the home closing costs that may apply in a standard real estate deal in San Jose. Some are one-time fees, while others recur over the life of the loan. When you first apply for your loan, you will receive a Good Faith Estimate of Settlement Charges and a booklet explaining these costs, to minimize surprises. 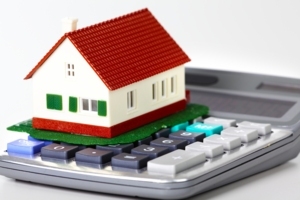 Generally, you can expect closing costs to equal from 3 to 6 percent of your mortgage loan amount. Your real estate agent can help explain some of these costs to you as well. This is a one-time fee for an “appraisal,” a statement of property value required on most loans. An independent fee appraiser makes the appraisal. Unique and more expensive homes usually have a higher appraisal fee. The “dwelling coverage” portion of your hazard insurance covers costs to completely rebuild your home, while the “liability coverage” protects you against accidents that occur on your property. “Personal Property Coverage” pays to replace your possessions and generally totals 50 to 75 percent the other dwelling coverage. Flood and earthquake insurance policies also are available and are recommended if you are in high-risk areas. Loan Origination Fee: The loan origination fee is often referred to as “points”. One point is equal to one percent of the mortgage loan. As a rule, if a borrower is willing to pay more in points, then the borrower will get a lower interest rate. Loan Discount Fee: On a government loan, the loan origination fee is normally listed as one point or one percent of the loan. Any points in addition to the loan origination fee are called “discount points”. On a conventional loan, discount points are usually lumped in with the loan origination fee. Appraisal Fee: Since the property serves as collateral for the mortgage, lenders want to be reasonably certain of the value and they require an appraisal. The appraisal looks to determine if the price you are paying for the home is justified by recent sales of comparable properties. The appraisal fee varies, depending on the value of the home and the difficulty involved in justifying value. Unique and more expensive homes usually have a higher appraisal fee. Appraisal fees on VA loans are higher than on conventional loans. Credit Report Fee: As part of the underwriting review, the mortgage lender will want to review the borrower’s credit history. The cost varies depending upon the type requested. Lender’s Inspection Fee: This is generally associated with new construction and is associated with what is called a 442 inspection. Since the property is not finished when the initial appraisal is completed, the 442 inspection verifies that construction is complete with carpeting and flooring installed. Mortgage Broker Fee: About seventy percent of loans are originated through mortgage brokers and sometimes the points associated with the loan are listed here instead of under Loan Origination Fee. They may also add in any broker processing fees in this area. The purpose is so that you clearly understand how much is being charged by the wholesale lender and how much is charged by the broker. Wholesale lenders offer lower costs/rates to mortgage brokers than you can obtain directly, so you are not paying “extra” by going through a mortgage broker. Flood Certification Fee: The lender must determine whether or not the property is located in a federally designated flood zone. This is a fee usually charged by an independent service to make that determination. Underwriting Fee: A fee is charged for the cost of underwriting the loan. Administration Fee: If an Administration fee is charged, then generally there will not be a fee for underwriting. Prepaid Interest: Mortgage loans are usually due on the first of each month. Since loans can close on any day, a certain amount of interest must be paid at closing to get the interest paid up to the fist of the month. VA Funding Fee: On VA loans, the Veteran’s Administration charges a fee for guaranteeing the loan. Based upon the use of the borrower’s VA eligibility, either two or three percent of the loan balance. Instead of paying for this as an expense, commonly it is financed into the loan balance. Mortgage Insurance: Though rare, some first time home buyer programs require the first year mortgage insurance premium to be paid in advance. Most mortgage insurance is simply paid monthly along with the mortgage payment. Mortgage insurance covers the lender and covers a portion of the losses in those cases where borrowers default on the loan. Homeowners Insurance Impounds: The lender will divide the annual premium by twelve to determine the estimated monthly payment to the impound account. Since the lender is allowed to keep two months of reserves in the account, the borrower will need to deposit two month into the impound account in the beginning. Mortgage Insurance Impounds: When required, lenders allow this to be paid monthly. However, a borrower may be required to put two months worth of mortgage insurance as an initial deposit into the impound account. Pest Inspection: This is also referred to as the Termite Inspection. This inspection tests for pest infestations and other items such as wood rot and water damage. If repairs are required, the amount to cover those repairs is usually covered by the seller, but it is a negotiable item. Usually the pest inspection fee is paid by the seller and is not normally reflected on the Good Faith Estimate. Home Inspection: Since it is the home buyer’s choice to obtain a home inspection, this cost may not be reflected on the Good Faith Estimate. However, it is highly recommended. Reconveyance Fee: This fee is charged by the existing lender when they “reconvey” their collateral interest in the property back to the borrower through recording of a Reconveyance.